Warns you about dangerous websites. Offers you a secure way to enter confidential data in online forms. Notifies you about password issues and data leaks. 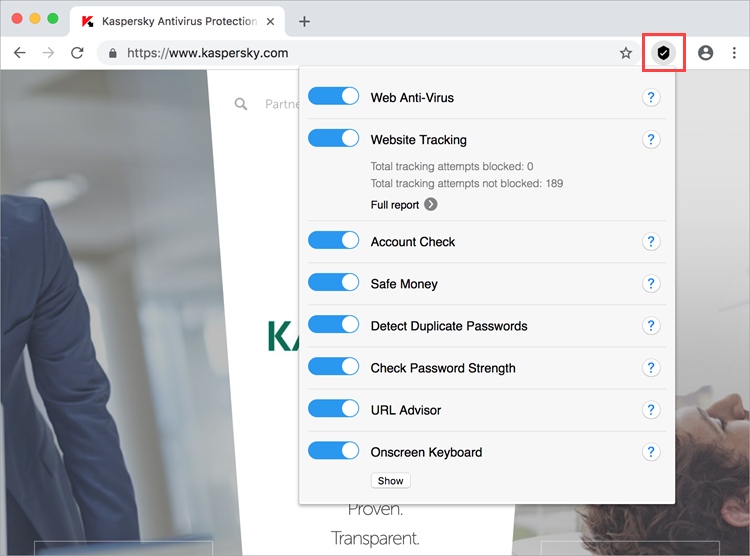 You can also use the extension to enable and disable Web Anti-Virus and the Websites Tracking and Safe Money components. 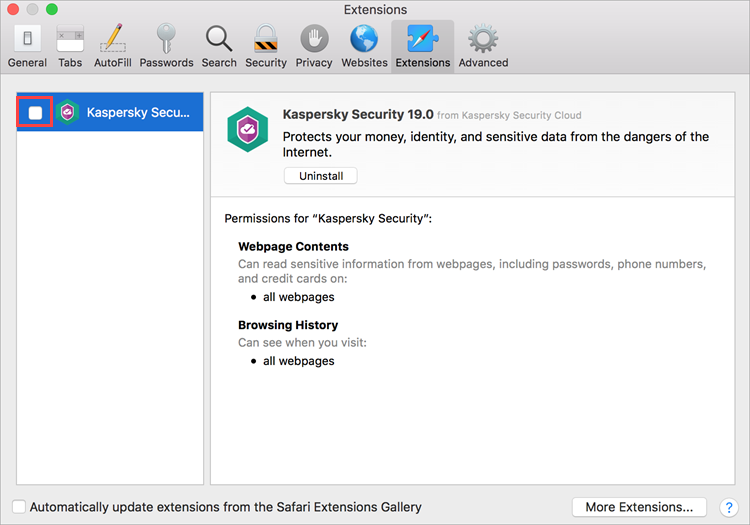 The Kaspersky Security extension is compatible with Safari, Google Chrome and Mozilla Firefox. It is displayed next to browser address bar. 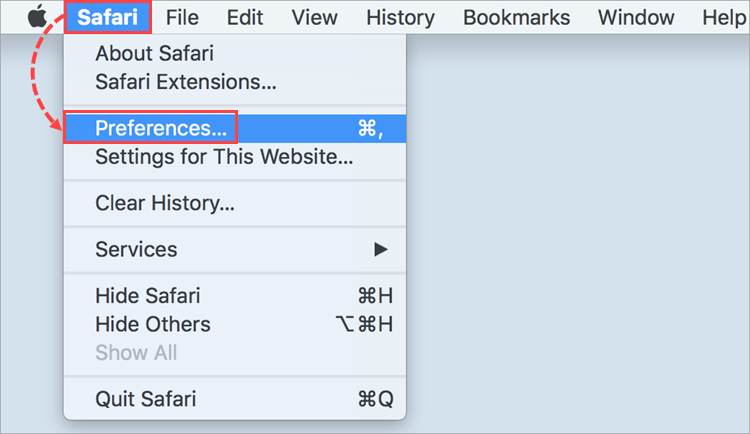 In the top left corner of the screen, click Safari → Preferences. 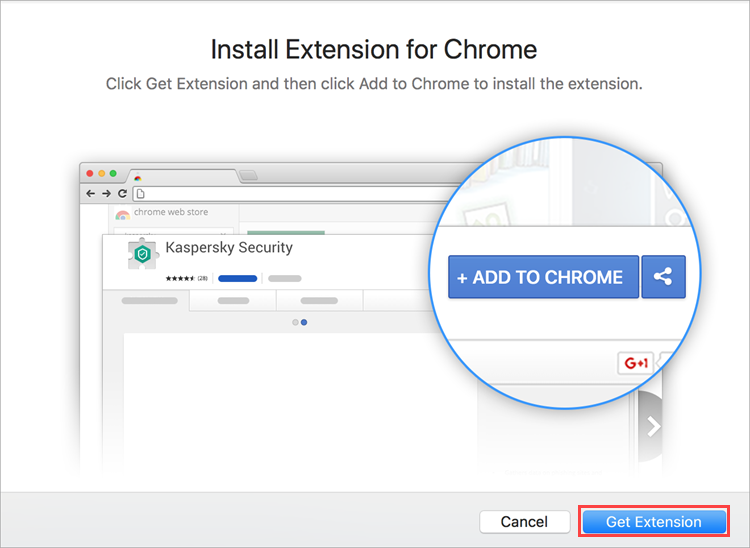 Go to the Extensions tab and select the Kaspersky Security checkbox. The extension is now enabled. 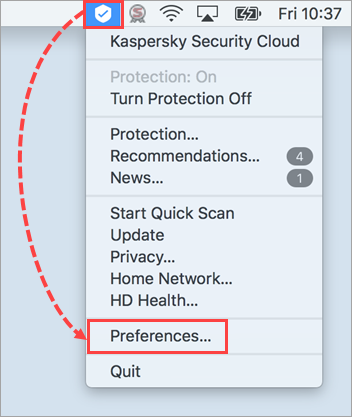 In the top right corner of the screen, click the Kaspersky Security Cloud icon and select Preferences. Go to the Browsers tab and click Get Extension. Find the Kaspersky Security extension. 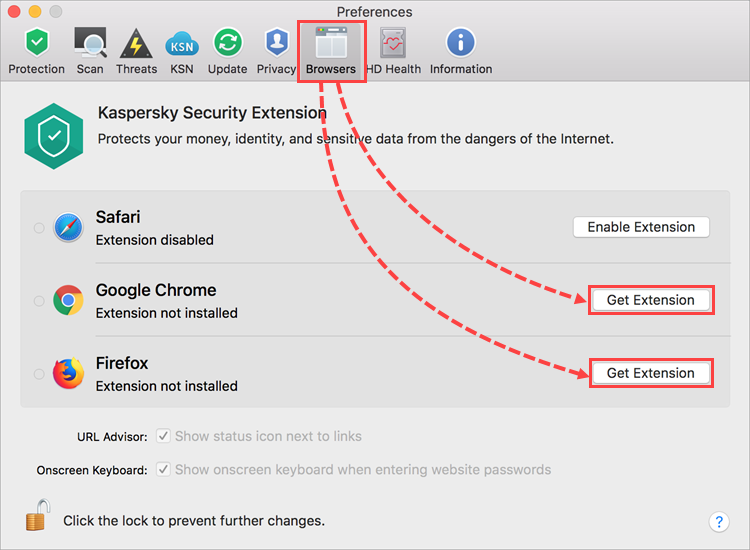 To disable the extension, clear the Kaspersky Security checkbox. 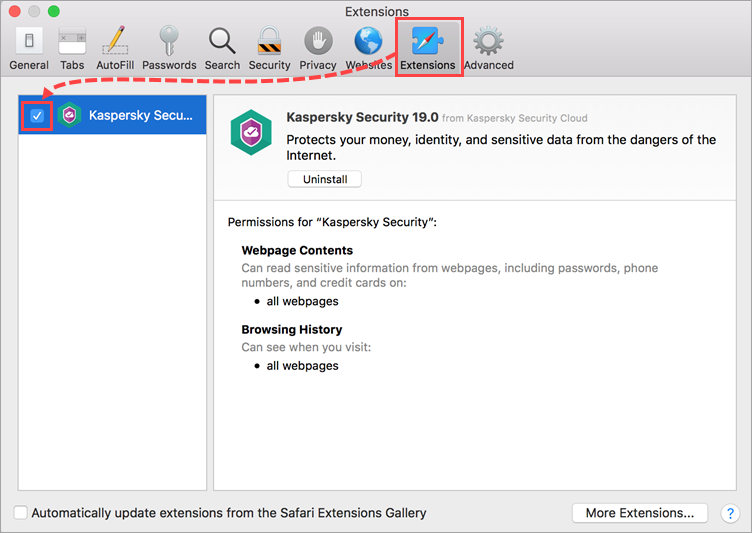 To remove the extension, remove Kaspersky Security Cloud for Mac. See this article for instructions. In the top left corner of the screen, click Window → Extensions. To disable the extension, move the switch to the left. To remove the extension, click Remove. In the top left corner of the screen, click Tools → Add-ons. Go to the Extensions section. Disable to disable the extension. Remove to remove the extension.